Down the road, Grace Gackenbach would like to be a physician. But in the meantime, she’s focused on academics, serving as president of her junior class, and clocking about 80 miles a month in the water with the Foxes’ girls’ swim team. 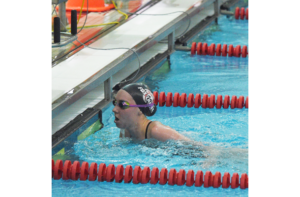 It’s a grind for sure, but it’s paid off for Grace, one of the team’s best swimmers since she was a freshman. She and her teammates practice Monday through Friday after school for two hours. Three days a week before school starts, they do one-hour dry-land workouts, and that’s in addition to the afternoon practices. On Saturdays, the swimmers are back in the pool for the week’s final workout. Grace’s contributions to the team’s past success – they were section champs when she was a freshman – have been many and consistent. Another reason why Grace is such an important part of the ensemble is because she is adept in six events. 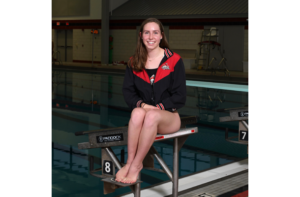 She cannot swim them all at one time, however, because WPIAL rules only allow swimmers to compete in a maximum of four events per meet. Additionally, Grace is a member of the 200 medley relay and the 400 free relay teams, and swims individually in the 200 IM. Grace has already qualified for 2019 WPIAL Swimming and Diving Championships in the 100 backstroke at the meet against Hampton High School. 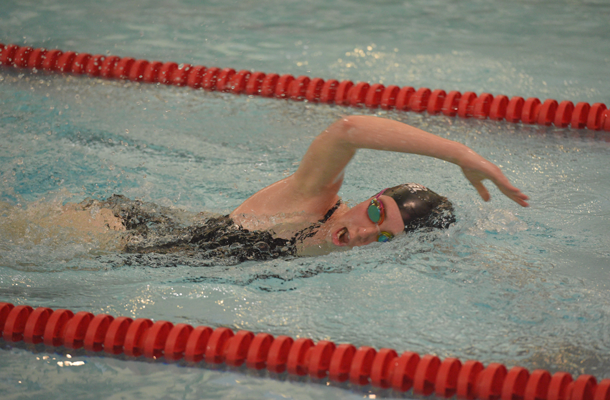 However, swimmers are only permitted to participate in two events at the postseason championships. Grace has been in the water since she was a little girl growing up in Chicago. She says she gave soccer a try when she was five, but never developed a real liking for it so her participation in the sport was short-lived. For Grace, the pool has served as a meeting place for some lasting friendships; it’s also become somewhat of a safe haven if she’s feeling tense or stressed.